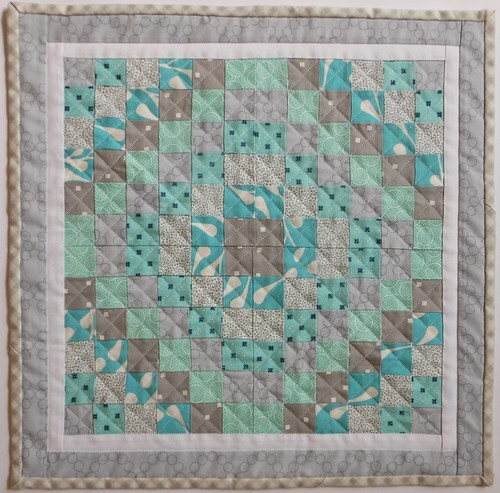 Over the weekend I worked on my FLiQS quilt. The deadline for this round is fast approaching and I had done nothing. A little "trip around the world." Each square finishes around 1 inch. And an "extra" block label to cap off the back. *Fingers crossed* that my swap partner likes it as well as I do. Linking up to Really Random Thursday and Finish It Up Friday. The thing about tiny 1" blocks is that I think it makes it easier to quilt. So very delicate and beautiful. She'll like it! Super cute. This is a beautiful little trip around the world - she'll love it! Your trip around the world is just beautiful! Love your mini project - it's fun to work small! 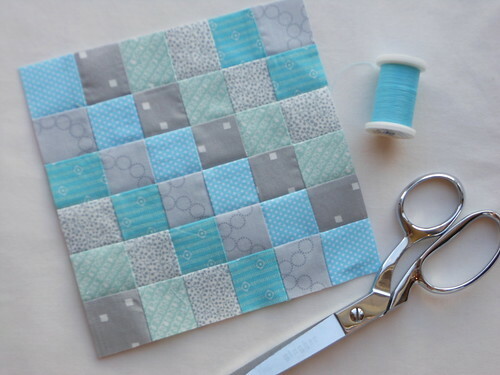 Your mini quilt is really pretty. How could she not? 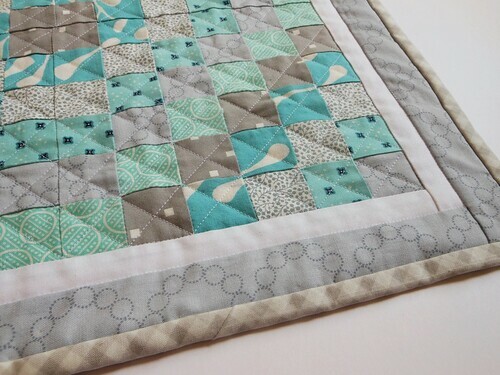 I love the subtle shading in your colors, and tiny patchwork is the bomb! 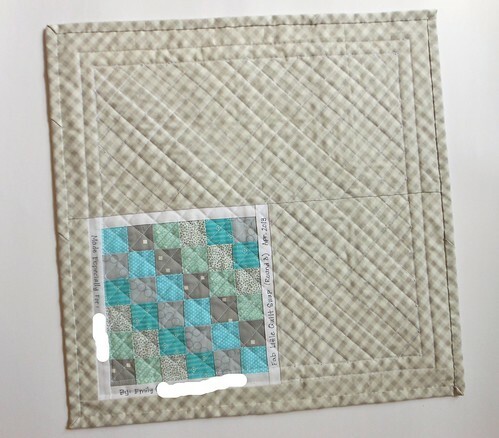 I love the colouring in this quilt, but I'm very scared of anything smaller than a 2.5" block, so I admire you as well. Beautiful.